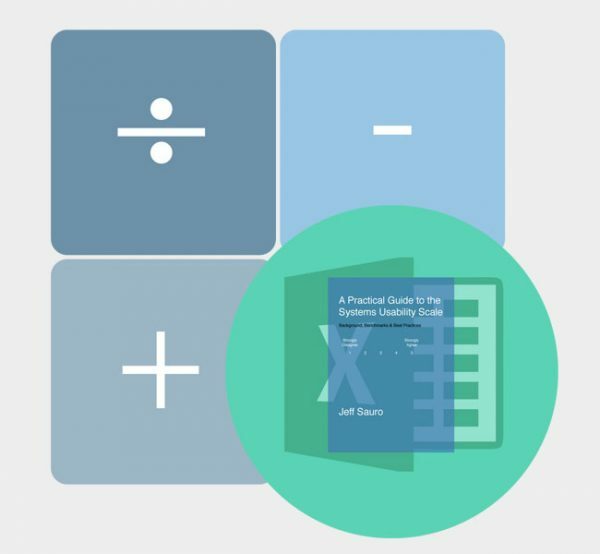 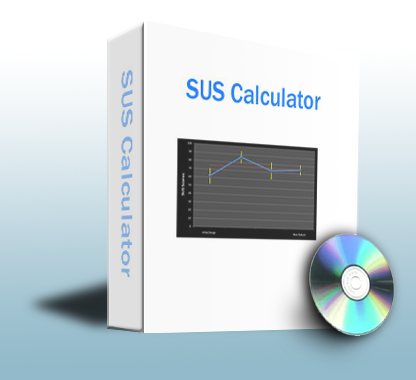 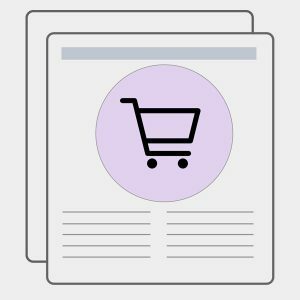 The Excel calculator provides everything you need to do with SUS. 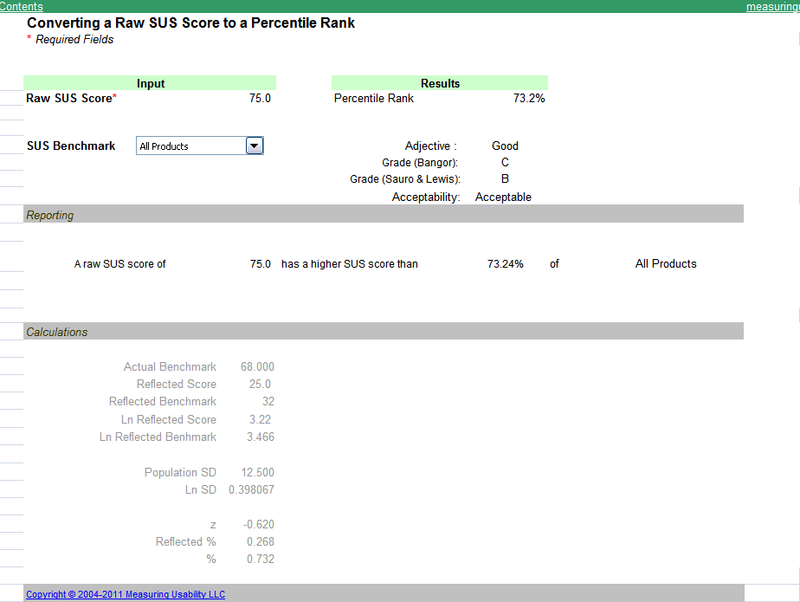 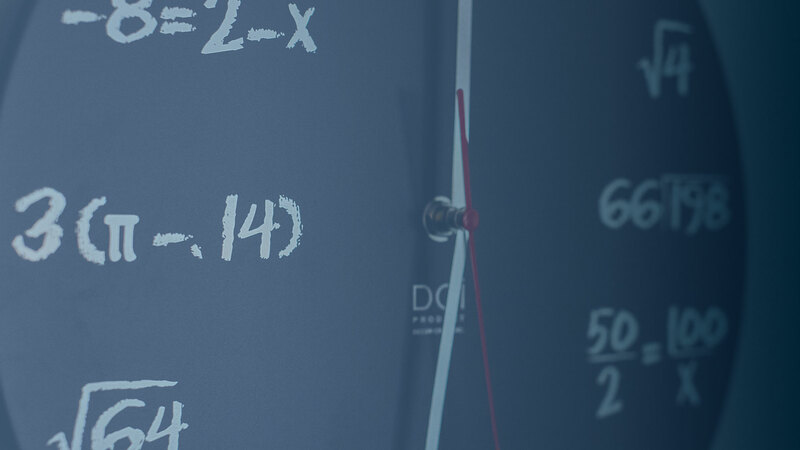 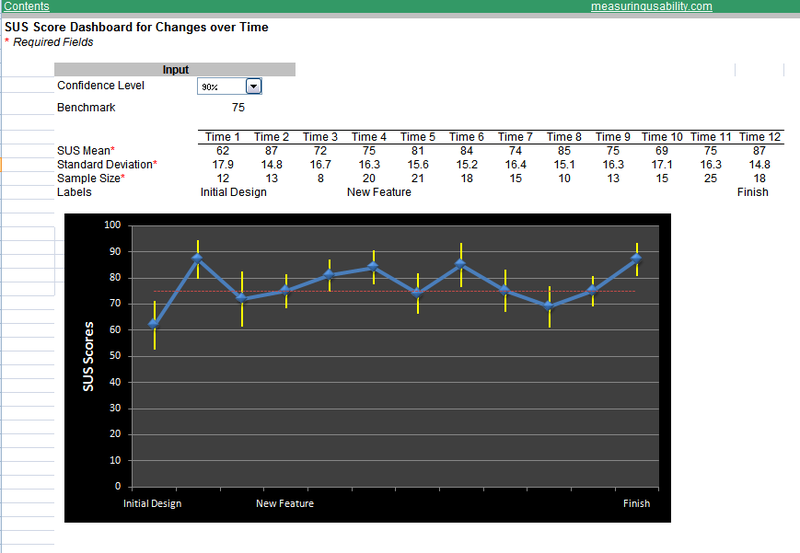 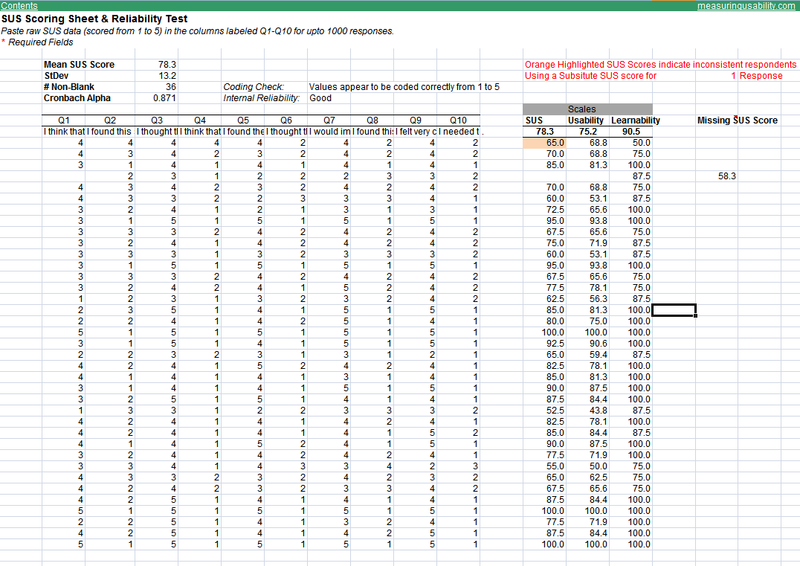 It prevents improper coding, compares two SUS Scores statistically, handles missing values, computes needed sample sizes, converts SUS scores to percentile ranks and letter grades and checks the internal reliability of responses. 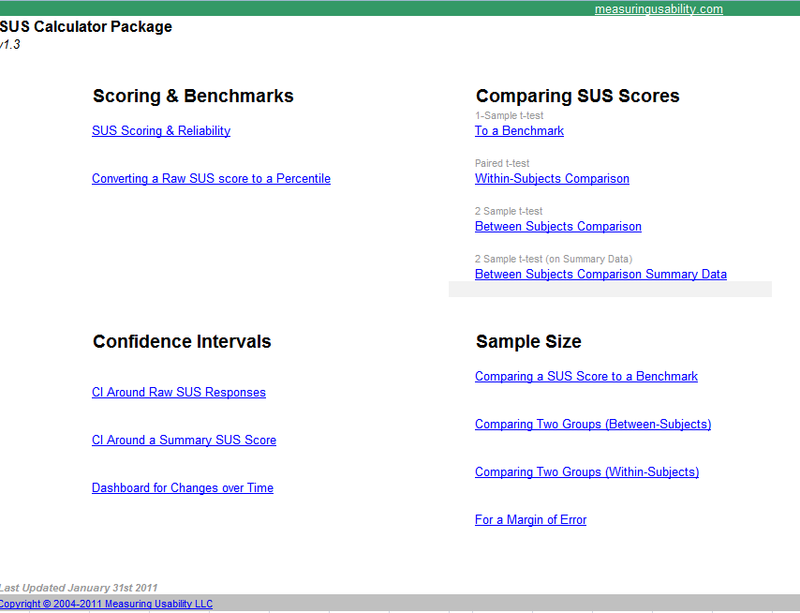 Computes Sample Sizes: Instead of relying on general rules-of-thumb, the calculator computed the best sample size for all study-types.